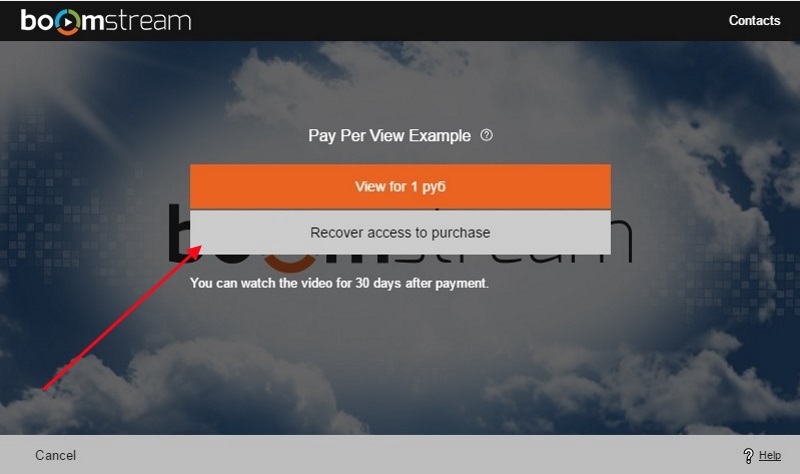 To recover access to purchased video, pls use Recovery code. 1. If customer purchased video content and access to it is limited, he can recover access using Recovery code – big gray button. 2. 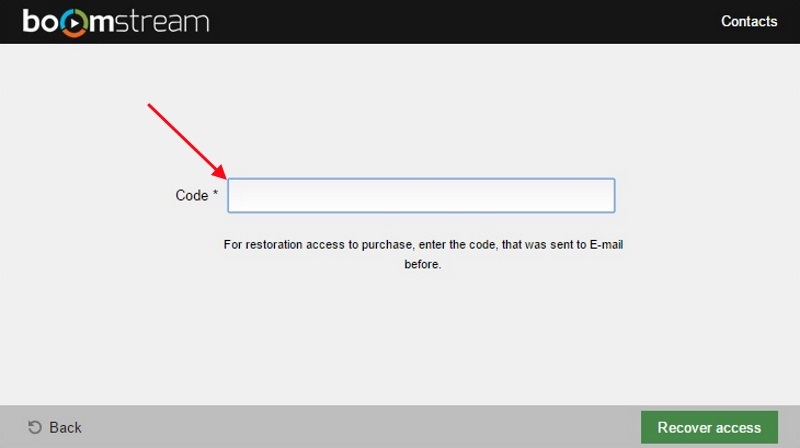 Recovery code has been sent to email address specified before purchasing video content. 3. 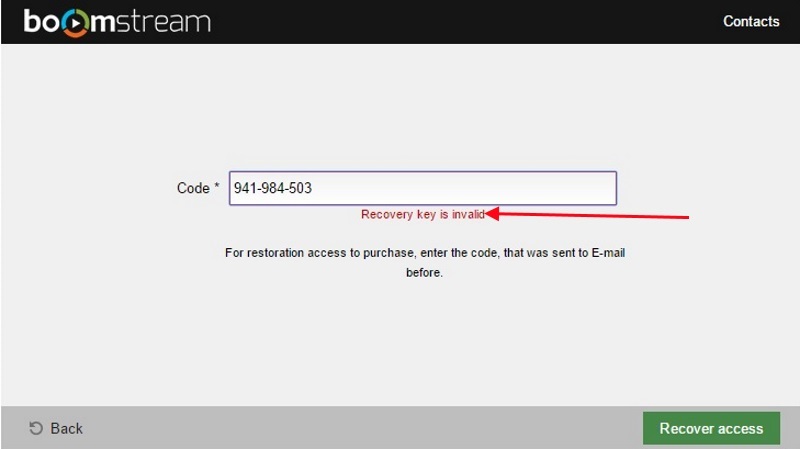 While submitting recovery code, customer could receive message: Wrong recovery code.